Are we your Best Interior Magazine blog?! If you are an interiors or lifestyle blogger and/or you read those types of blogs, then you will most probably have heard about the Amara Interior Blog Awards. We are thrilled that the 91 Magazine blog has been nominated in the Best Interior Magazine blog category! Myself and Laura (deputy ed) have strived to create great content on here since we launched the blog in January, and it's been a joy to work with some lovely guest bloggers too. We are so proud of this little corner of the internet that runs alongside the print publication, and we really hope our readers enjoy coming here in between issues. It's a total thrill to see the 91 Magazine name listed amongst some of the biggest titles in the interior magazine industry in this award category - Living Etc, Elle Decoration, Homes and Antiques to name a few, BUT we do feel like a small fish in a big sea, so we REALLY need your help to get us shortlisted for the award! Once shortlisted, it's the judges decision on who wins out of the final five, and we really hope they'll love what we do, but of course we need to get to that stage first! If you have a moment, then please do pop over to our voting page, if you think we are worthy! It would round off a great year for us to even get shortlisted. Voting closes a week today on the 9th Sept- eek! Our guest bloggers have put together some fabulous craft posts for us. Emma Mitchell of Silver Pebble shows us how to make a paper clematis garland from nothing more than card and string! Living creatively and supporting other peoples' creative endeavours is of course one of our favourite things. Our deputy editor Laura put together a great round up of podcasts for creatives - all very much worth a listen. We hope you enjoy getting an insight into the creative goings on at 91 HQ every now and again - sneak peeks, behind the scenes and interviews with our team. 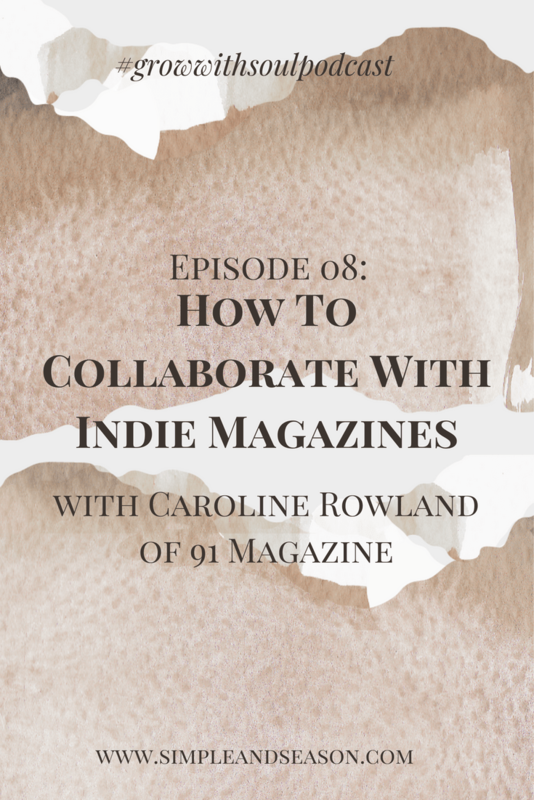 Read a short Q&A with founding editor Caroline here. Seeing as we LOVE interacting with our readers and peers on social media, (particularly Instagram), it only seems right for us to share some of our favourite images that have been posted under our hashtag projects on the blog. Following the publication of our first print issue, lots of you shared images of the magazine being enjoyed all over the place, featured in the #my91magazine feed, so we collated a few here and here. Magazines and books are pretty much always on our mind here at 91, so we recently shared some of our other favourite indie magazines! They are SO many great publications out there not to be missed. Plus our contributors have been getting out and about! Yeshen Venema visited Farmopolis in London, while our first international guest blogger Mariana Cárdenas photographed Chaya B&B in Mexico City. Wow, and that's just a little snippet of the posts you can peruse! Looking back on the last eight months really has me beaming from ear to ear! I'm so glad to have decided to pursue my plan to get 91 Magazine into print, it definitely is my career highlight to date! If you do have a moment to click VOTE NOW, we'd be ever so chuffed!